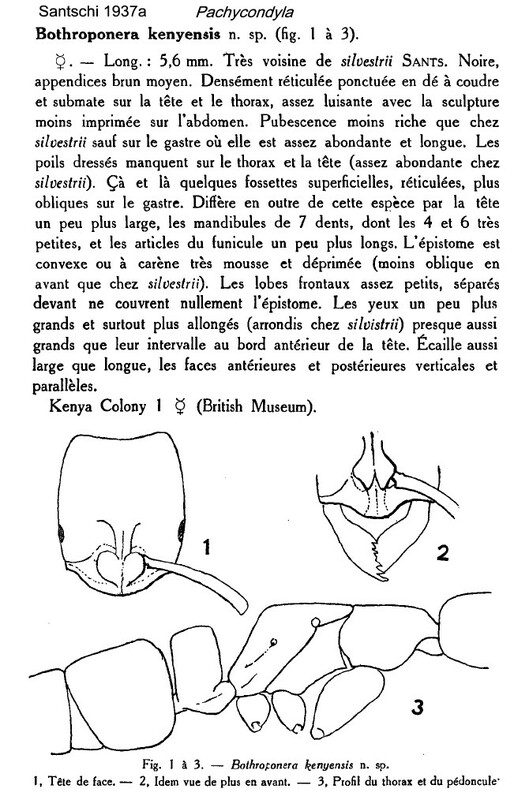 Type location Kenya (Bothroponera kenyensis, Santschi, 1937a: 47, illustrated, worker; in Pachycondyla, Bolton, 1995: 306; status revived Schmidt & Shattuck, 2014: 77) - no type images on Antweb (June 2014). 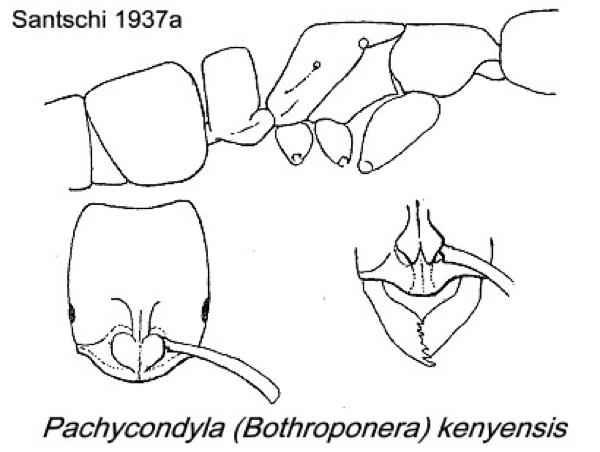 WORKER - TL 5.6 mm; close to Bothroponera silvestrii but mandibles with irregular dentition and generally more finely sculptured and with finer, shorter pubescence. The photomontage is of a worker from the Usambara Mts, Tanzania, Amani NR, Zigi Lodge; collector V. Grebennikov2. A specimen from Tanzania, Mkomazi Game Reserve, can be seen at http://www.antweb.org/specimen.do?name=sam-hym-c008626a.